Love jewelry deals? You can take advantage of a fun Tribe Stamped Bracelet sale at Cents of Style. 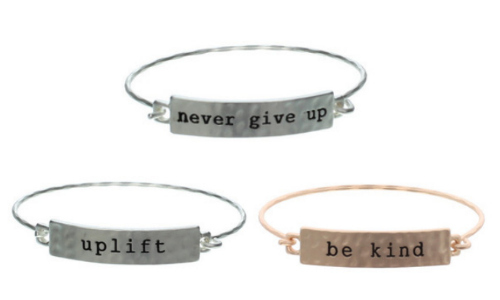 Each bracelet is $9.95 shipped when you use the code TRIBE and you can choose from 15 different wording styles. 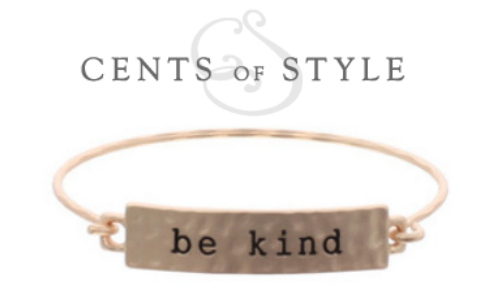 If you are a fan of the new Disney Cinderella movie, then you may love the Be Kind bracelet. Other words you can choose from include Fearless, Never Give Up and more! This sale ends 4/30, so don’t wait if you want something.